JAMIE Oliver launches a new product, Punchy Jerk Rice, and is taken to task by MP Dawn Butler who accuses him of cultural appropriation with a stern lecture on jerk: "It's not just a word you put before stuff to sell products." It gets more complicated. The authentic West Indian jerk recipe is based on a sauce containing Scotch bonnet peppers. If any Scot would care to accuse Jamaican chefs of culturally appropriating Scotch bonnet peppers, I'm sure Ms Butler will be interested. WHILE we're on the subject, "West Indies" is the term used by Columbus who, in 1492, set sail expecting to make landfall somewhere near India but found America instead. So West Indies is a cultural appropriation from India. Tut, tut. CONTINUING the hypersensitive theme, may I officially take offence at the joke judged the funniest at this year's Edinburgh Fringe? Adam Rowe said: "Working at the Jobcentre has to be a tense job - knowing that if you get fired, you still have to come in the next day." This is an insensitive attack on the unemployed. Mr Rowe should join Mr Oliver in the queue for re-education. JULIAN Dunkerton, founder of Superdry, who has donated £1 million to the fund for a second Brexit referendum, is worth an estimated £440 million. Do you not look at him in the same way that you look at those other well-heeled Brexit-deniers, Blair, Mandelson, Adonis, Miller and the rest, and ask yourself: "In what possible way do their interests coincide with mine?" DUNKERTON'S cash is to be spent on opinion polls which are presumably designed to prove that Britons have changed their mind since the 2016 referendum. As poll watchers are aware, getting the result you want depends on how you ask the question. For example, "Do you want 24-hour banking services?" automatically invites a Yes reply. If you want the response to be No, ask: "Do you want Bob Cratchit to be forced to work for Mr Scrooge seven days a week?" Sorted. 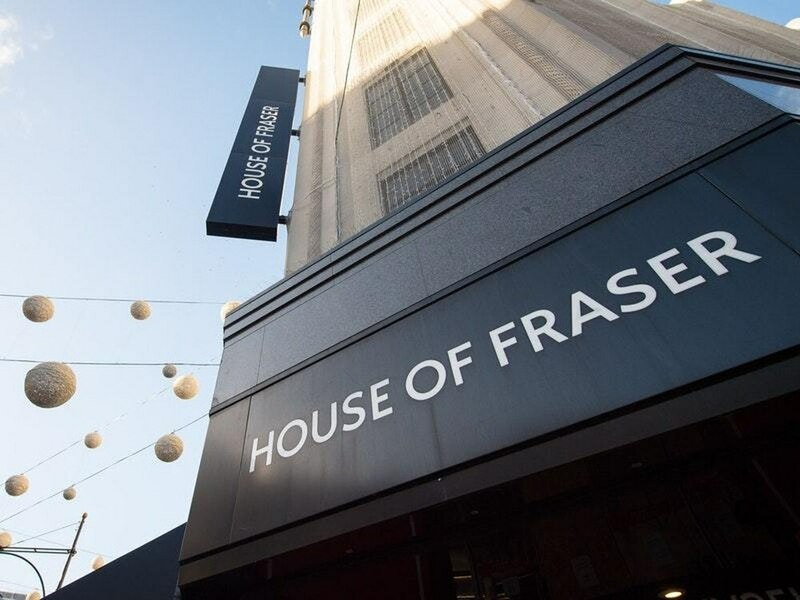 IF you ever thought the UK economy was a little out of balance, consider the curious fact, pointed out by a reader, that the £90 million paid by Mike Ashley for the entire House of Fraser empire is about what you might spend on a single top-class footballer. WHEN might cash-strapped Greece start paying off its massive loans from the EU? As most tourists will know, the answer comes in a most useful little Greek word: avrio. It means tomorrow or the day after tomorrow, maybe. MOST languages have a similar word. There is a tale of a professor visiting the Hebrides who asked a local crofter whether there was a word in Gaelic similar to the tomorrow-maybe Greek term avrio, or the equally vague and laid-back Spanish word, mañana . The crofter thought for a while and declared: "No. We have nothing with quite the same sense of urgency."